Right now, you can grab a great deal from Nordstrom Rack on these 4 packs of Aden + Anais Swaddles for just $29.97 (reg. $49.99)! 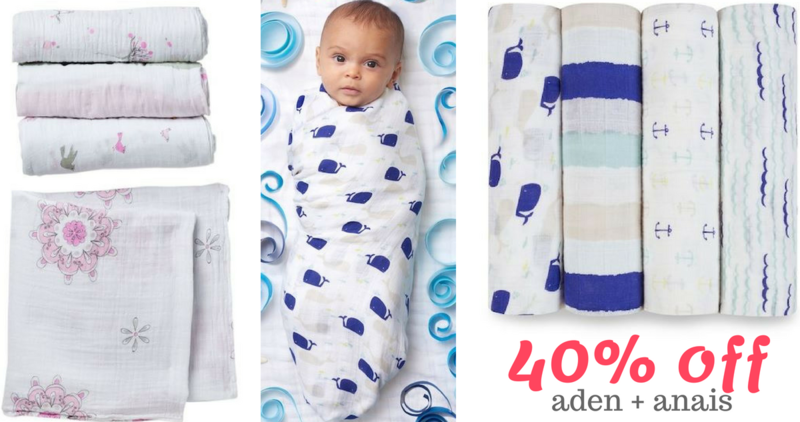 These are some of the best swaddles you can buy and when you can get 40% off you won’t want to pass this up! Perfect if your having a baby or for a baby shower. You can choose from 2 different color/pattern options. Shipping is free with a $100+ and free returns in-store. Offer is for a limited time.